Term 4, Week 2 - how are we already here! There is so much to do this term and it is already flying by! 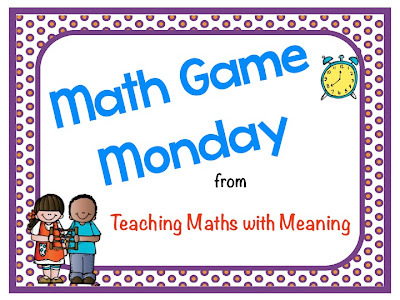 Here is another Math Game Monday for you for this week! A really quick game for you this week! Our Maths Specialist taught me this game and I decided it didn't really need typing up (that and after I have spent a lot of the weekend working on my computer I decided I needed to work smarter)! It's called Remainder Game - perfect for Grades 2 and 3 who are learning division! And those teachers who are working as substitute teachers, this is a great game to have up your sleeves! Work in groups of 2 with a 6-sided dice. Choose a number between 12 and 16. This is your number that will be divided each time. Then take it in turns of rolling the dice. If you choose the number 13 and you roll a 4 - then you can divide it 3 times with 1 remainder so that player gets 1 point. Then if the partner rolls a 5 - then you can divide it 2 times with 3 remainder so that player gets 3 points. Continue playing for 10 rolls of the dice each, adding up your score as you play. The person with the largest total is the winner. Thanks, Alison! I love your Math Game Mondays!